Astronomical dome for observatory made in aluminium. 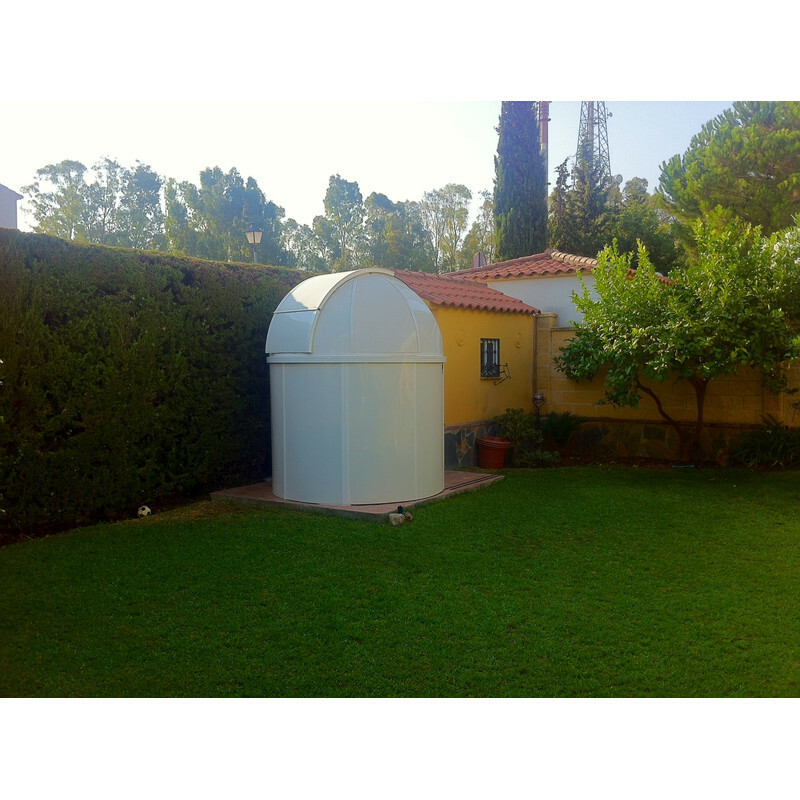 The frame is manufactured with welded aluminium and divided in three main sections that when mounted becomes a solid structure. The structure is covered with aluminium composite panels that gives sturdiness against the weather conditions. The composite panels are finished in two colours. White in the outside and black inside part. All the panels are finally covered with aluminium profiles. The observation window is manufactured with lateral guides and wheels, making the opening and closing very smooth. 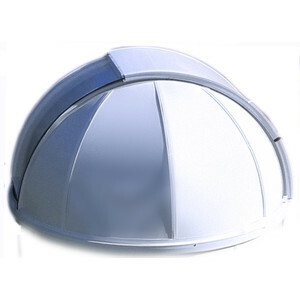 The dome rotates over a steel plate and vulcanized bearings, also ensuring perfect movement of the whole system. Additional bearings are also installed to avoid the dome to be lifted by the wind. 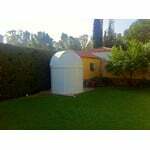 There are three models with diameter 2000, 2500 and 3000mm. 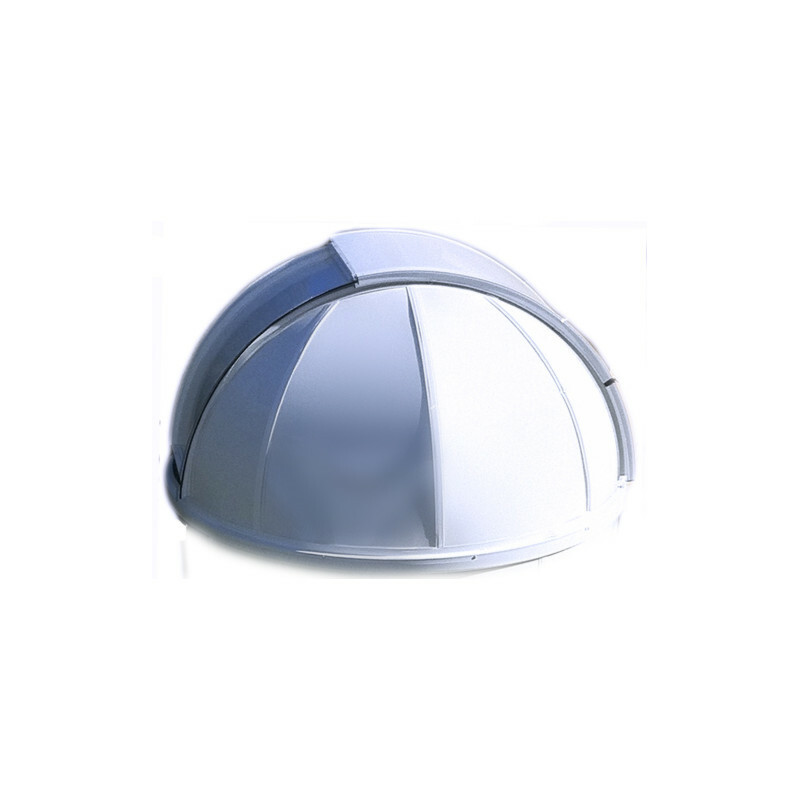 Considering that this product is not subject to any manufacturing matrix, excepting those limitations subject to physical properties of the design, the Milkyway dome can be customized very easily. 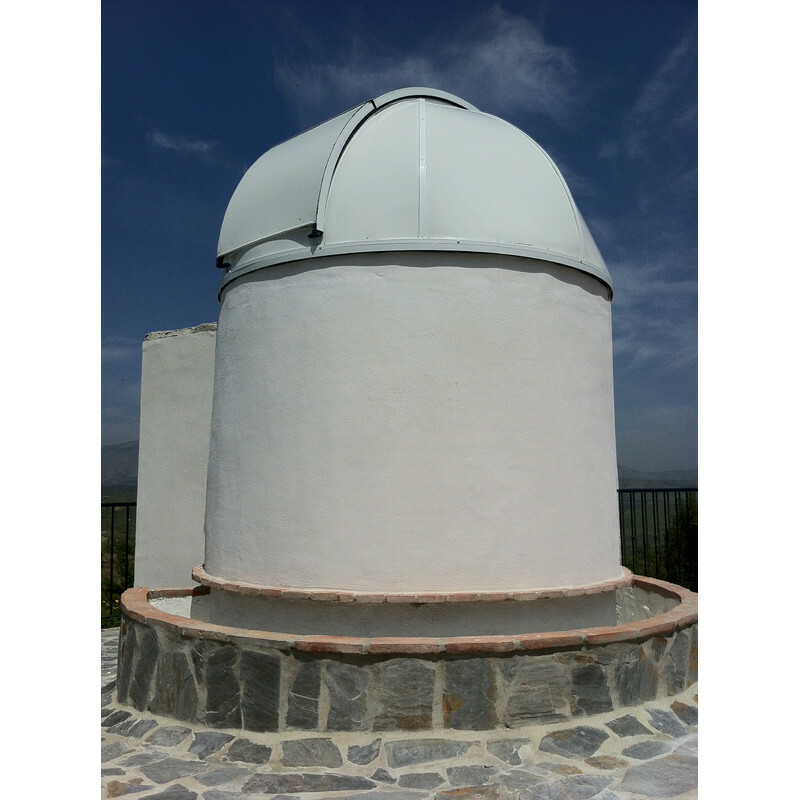 The clients can determinate the size of the observation window and also the exact dome diameter according to their needs. All prices given are for those standardized models, therefore any modification should be quoted apart. Weight: +- 45 Kg aprox.